William Henry Barlow established his reputation as an engineer by designing long, single-span glazed train sheds supported on arches of ironwork. Constructed of his St, Pancras train shed was followed by the addition of an elaborate brick hotel a few years later. 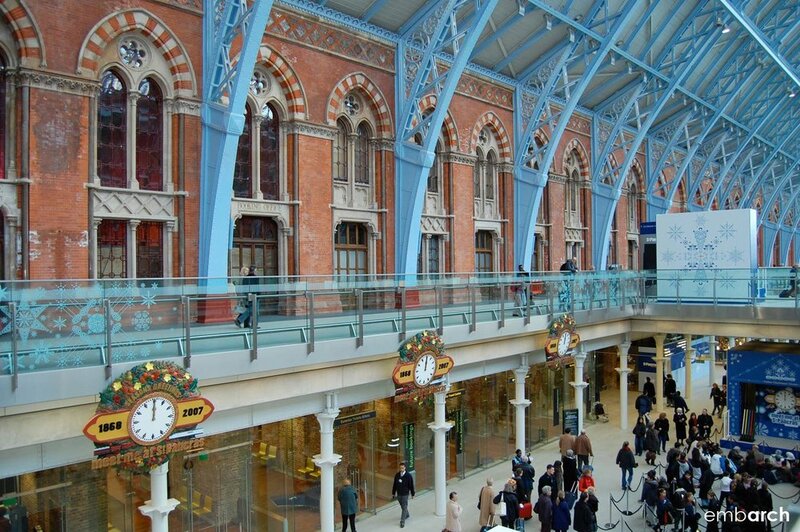 Today, the station is a London landmark, though it has been renovated to accommodate a high-speed rail. Retail space – with unobtrusive glass enclosures – has also been designed into the undercroft.